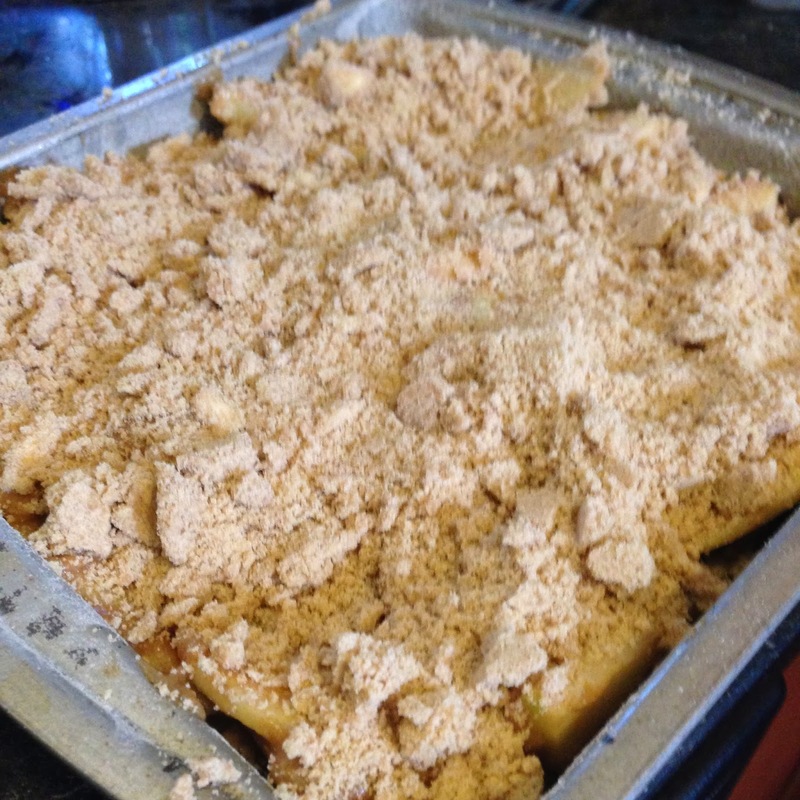 Sharing my recipe for apple layer cake, which I made for a cooking class this fall. Time gets away me - I wanted to post this a month ago. Go! 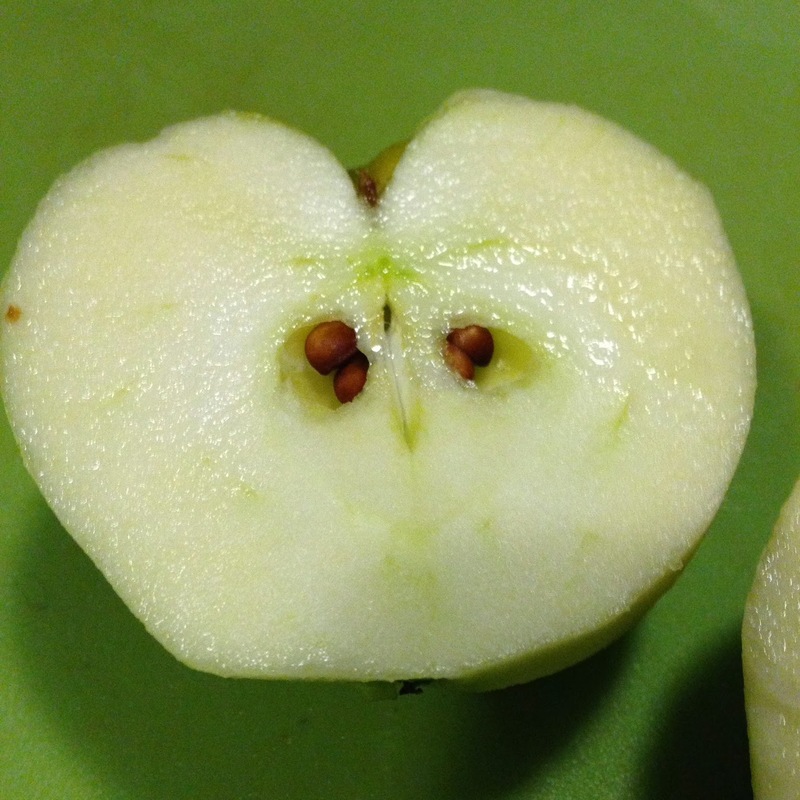 Grab some apples while the farmers' markets are still running for another week. I like to use 2 kinds of apples, a sweet apple and a tart apple. The batter will look like there's not enough; this recipe is all about the apples. As they cook the batter acts like a glue holding everything together. The apples shrink and condense. This is a cake that's like a kuegel, brown betty or a crumble. Whatever you call it call it delicious! 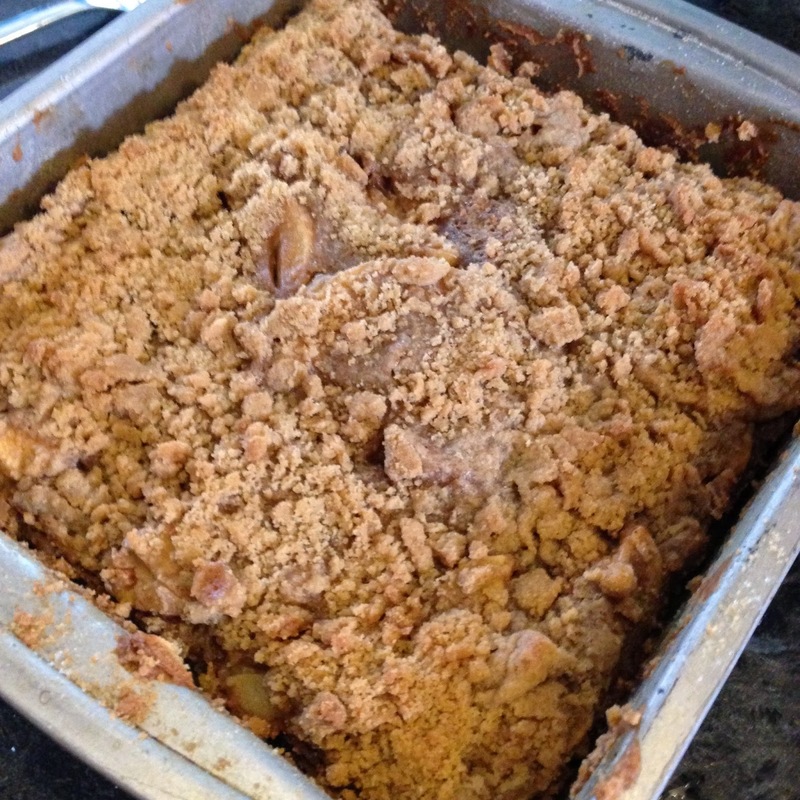 Make the Streusel Topping: In a small bowl, mix the flour, brown sugar, salt and spices together, whisking to combine. Add in the butter. Combine with your fingers or use 2 forks or a pastry cutter to “cut in” the butter into the flour mixture until clumps form. The mixture should resemble coarse meal or small pea-sized lumps. Set aside. Prepare a cake pan - 8 x 8 or 9 x 13 by spraying it with cooking spray or coating it with butter. 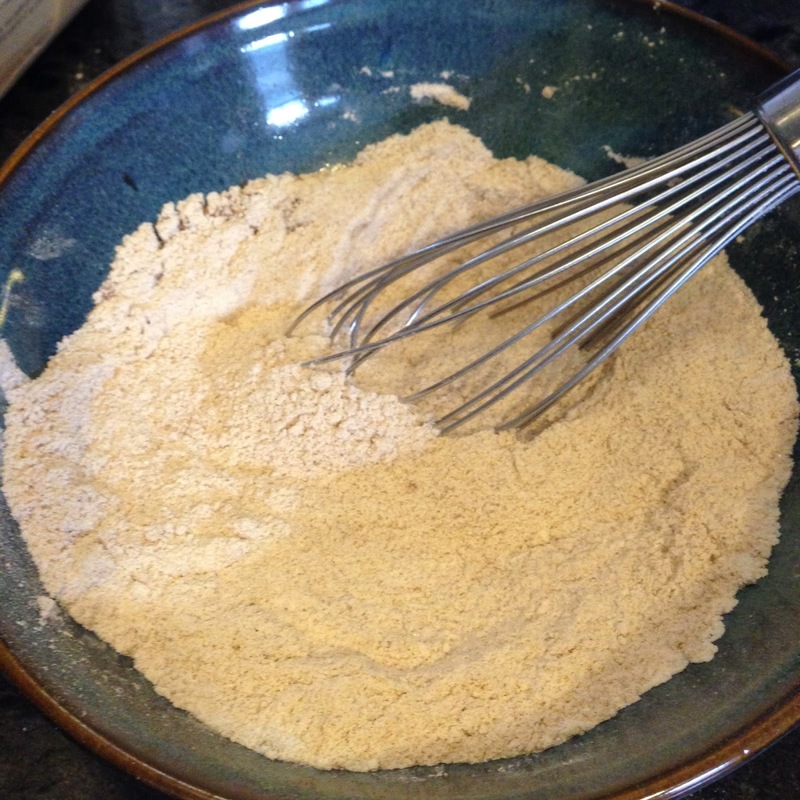 Lightly flour the pan with 2 tablespoons of flour, shaking to coat the pan and shake out excess. Set aside. 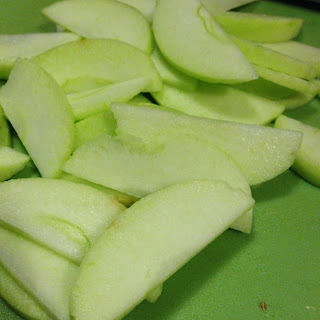 Make the Cake filling: Prepare the apples - wash, peel and core them and then slice into thin slices - about 1/8 inch thick. Squeeze the juice from half of a lemon over the apple slices to keep them from browning - tossing to coat with the lemon juice. In a large mixing bowl, stir together the flour, sugar, apple pie spices and pinch of salt. 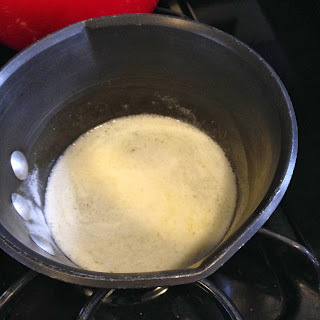 In another bowl, whisk together the eggs, vanilla extract and the melted & cooled unsalted butter. Combine the egg/butter mixture to the four mixture, stirring to combine; then add in the sliced apples. 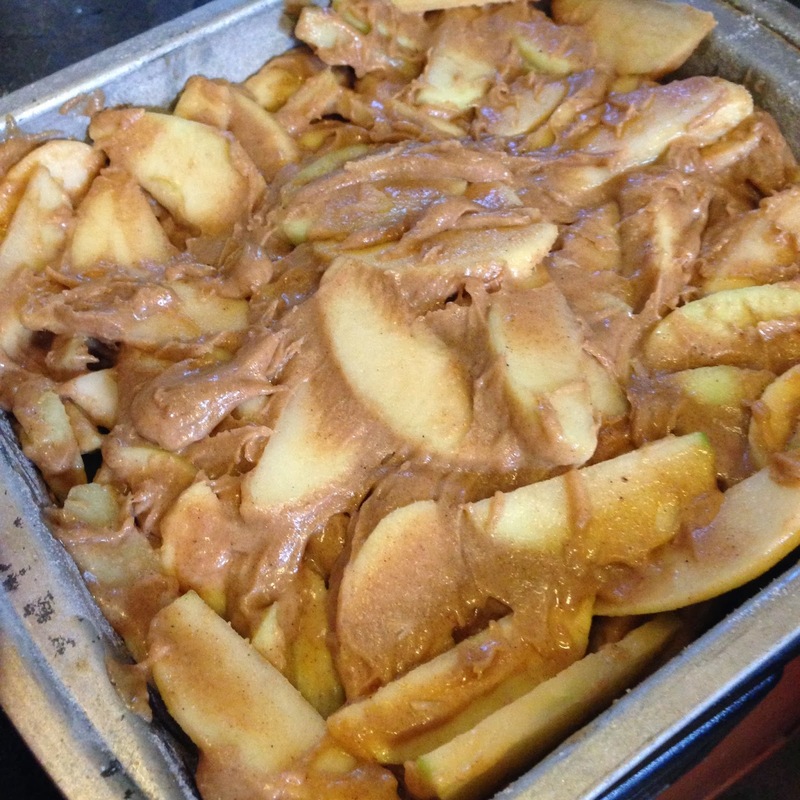 Thoroughly fold all the ingredients to incorporated and coat the apple slices with the batter. Spread the batter into the prepared baking pan in an even layer. Scrape all the batter out of the bowl and into the pan. Sprinkle the streusel mixture over the batter. Bake for 50 minutes or until a knife inserted in the cake meets no resistance and comes out clean. Allow to cool in the pan for 15 minutes before serving. Apple Cake is best served warm, but it will hold for up to 3 days, covered and refrigerated. Warm before serving. Peel & Cut Apples in half, then core and slice into thin slices. Put the thin slices of apples into water that has some lemon juice added to it. The lemon juice will help keep the apples from turning brown (oxidizing) and the lemon juice flavor adds a bit of tartness to counter balance the sweet. Melt some butter - and then allow to cool. Fold into the apples - the batter will seem like there's not enough, just stir to coat all the apples thoroughly then add them to an 8 x 8 baking pan. Press the apples down to fit. The topping will get golden brown and as the apples cook, they shrink down and form a layer cake.